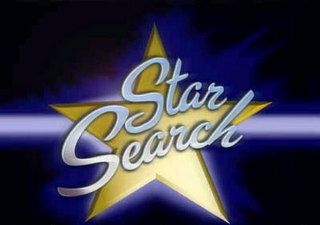 Star Search is an American television show that was produced T.P.E./Rysher Entertainment from 1983 to 1995, hosted by Ed McMahon, and created by Alfred Masini. A relaunch was produced by 2929 Productions from 2003 to 2004. On both versions of the show, contestants competed in several genres of entertainment. The show was originally filmed at the old Earl Carroll Theatre , at 6230 Sunset Blvd. in Hollywood and later at the Disney Hollywood Studios in Orlando, Florida. Star Search is an American television show that was produced T.P.E./Rysher Entertainment from 1983 to 1995, hosted by Ed McMahon, and created by Alfred Masini. A relaunch was produced by 2929 Productions from 2003 to 2004. On both versions of the show, contestants competed in several genres of entertainment. The show was originally filmed at the old Earl Carroll Theatre (now known as Nickelodeon on Sunset), at 6230 Sunset Blvd. in Hollywood and later at the Disney Hollywood Studios in Orlando, Florida. 10 year old Britney Spears singing live at Star Seacrh, in 1992. Very rare. Here's more classic Star Search with Ed McMahon, this time from season 7. Dave Chappell's 1st appearance on Star Search 1993.